A breakfast was held to celebrate the newest members. 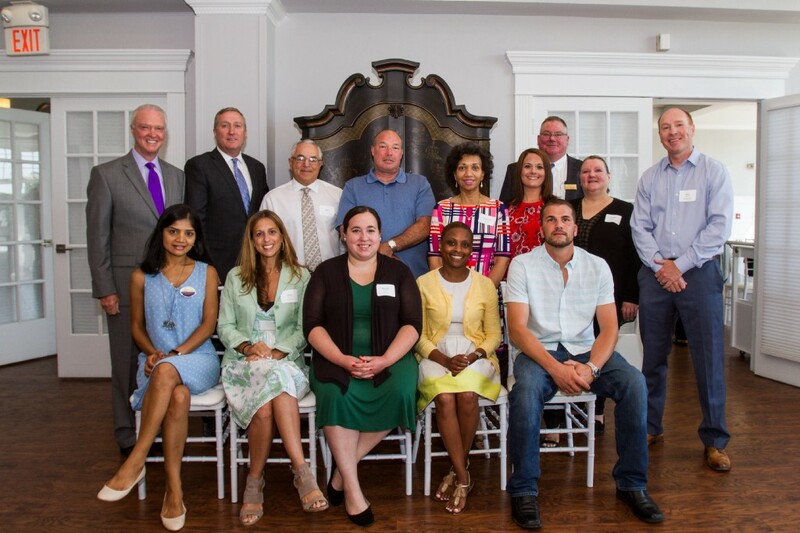 Berkshire Hathaway and the Trident Group celebrate the sales associates that have recently joined the company at a regional breakfast. “This is a wonderful way to introduce the newest members of our family to their teams who stand ready to assist them in getting every one of their transactions to closing,” said Barbara Griest, president of the Trident Group. Attendees from the Burlington County Offices include: (pictured sitting left to right) Carol Damato, Trident Land Transfer; Patricia Tiver, Moorestown; Megan Burke, Medford; Lauren Gragilla, Mt. Laurel; Deanna Nielson, Medford; Stacy Pierce, Trident, Regional Manager, (pictured standing left to right) Gerry Griesser, Vice Chairman of the Board, BHHS Fox & Roach/Trident; Bill Stewart, Sr. VP, Trident Mortgage; Larry Lobascio, Trident Insurance; Carl Hinds, Trident Insurance; Patti Lee, Medford; Karen DeBroekert, Medford; Pat Wessel, Moorestown; Denise Pearlman, Mt. Laurel; Michael Wakatama, Mt. Laurel; Bill Fox, Senior VP, Trident Insurance. Berkshire Hathaway HomeServices Fox & Roach, REALTORS®, is a part of HomeServices of America, the nation’s second largest provider of total home services and recently recognized as “Real Estate Agency Brand of the Year” and “Most Trusted Real Estate Brand” in the 30th annual Harris Poll EquiTrend® study. The company, which has 5,000 sales associates in more than 65 sales offices across the Tri-State area, was recently acknowledged as no. 1 in units sold throughout the entire Berkshire Hathaway HomeServices Network. Through its affiliate, the Trident Group, the company provides one-stop shopping and facilitated services to its clients including mortgage financing, and title, property and casualty insurance. The company-sponsored charitable foundation, Fox & Roach Charities, is committed to addressing the needs of children and families in stressful life circumstances and has contributed over $6 million to more than 250 local organizations since its inception in 1995.